15" with 1" HF driver, four inputs. The KXD15 keyboard amp by Behringer is an ideal amplifier for many different types of applications. 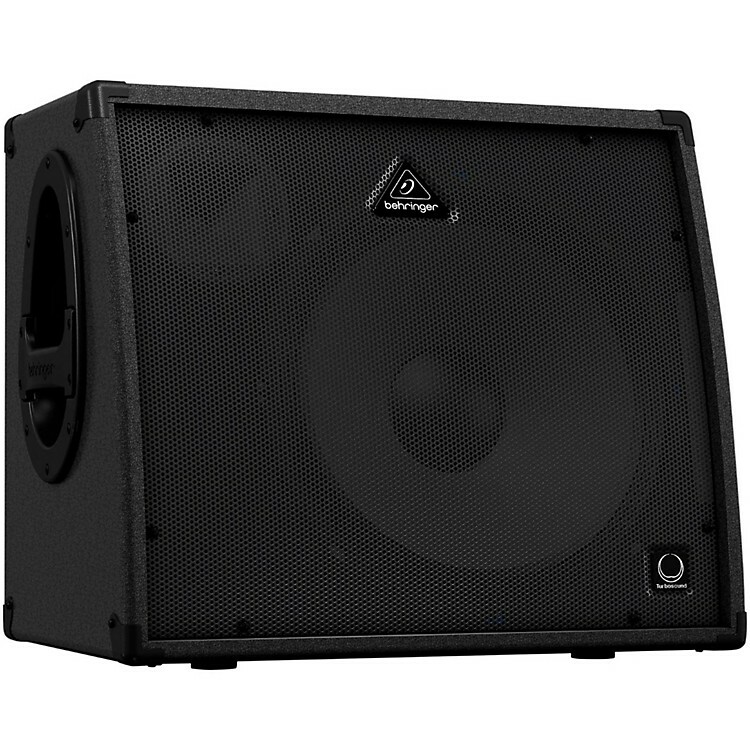 In a loud rock band where you are using DIs to the mains, it is an excellent stage monitor with multiple inputs and vast EQ so you can tailor your stage sound to be exactly what you want it to be. It is additionally great as an amplification system for performance. If you wish to perform on keyboards with vocals, it has an XLR input for your microphone, and the digital effects processor built into it is superb. It is also a great amplification system for acoustic guitar, prerecorded music, or anything else that requires full-range response. it is viable for business presentations and other communications applications as well. With its 600 ultra-clean Watts of digital output, delivered through separately-powered drivers via a true biamping mode with 2 amplifiers per speaker, the KXD15 delivers high-resolution sound that really brings out the best in your music. With 12 dB of available boost or cut per band (that' a lot! ), the KXD12' seven frequency bands have been carefully optimized to provide the ultimate tools for EQ'ing your keyboards and vocals. The entire audio spectrum from below 63 Hz to above 16 kHz is covered, allowing you to fine-tune specific frequencies to help you sculpt the perfect sound. Special attention has been paid to the critical midrange frequencies, which can make or break your tone. For more than 20 years, BEHRINGER has designed and manufactured some of the most successful FBQ Feedback Elimination processors. Now you can own and enjoy the benefits of this technology, as we have integrated the revolutionary FBQ Feedback Detection System in this product, so your sound system is completely feedback-free, allowing you to focus on your performance. Utilizing an ultra-fast feedback detection system, this ingenious circuitry helps you recognize and tame feedback frequencies immediately. When feedback is sensed in a specific frequency range, the LED on the associated EQ fader illuminates, showing you at a glance which fader to lower to overcome the feedback. Order today and solve your keyboard stage monitoring problems.